Our dog visiting service covers everything from visits for young puppies to visits for dogs with complex behavioural issues. Our 30 minute dog visiting service provides a one on one service to break up the day for your dog. These visits are particularly good for younger or older dogs, or dogs that have complex needs and health conditions. 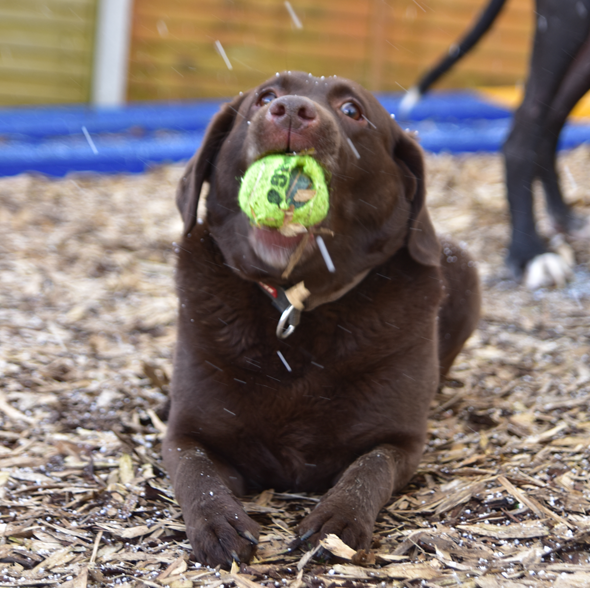 We can practice basic training, have some play time, cuddle, feed and make use of any outdoor space enriching and enhancing your dogs’ experience. These visits can be very useful for dogs that are recovering from being spayed or neutered. 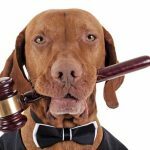 Once the visit time has come to an end we will settle your dog back down give them some treats/toys or cuddles and leave a written report on how they have been. Visits can be carried out either AM (between 9 and 10.30am) lunch time (between 11 and 2) or PM (between 2 and 3.30pm). You can choose which time slot would suit you and your dog best. As with all our services you will still need to do an induction to meet our team and for our team to meet you and your dog, take own emergency contact details, vets details and feeding regimes if required. 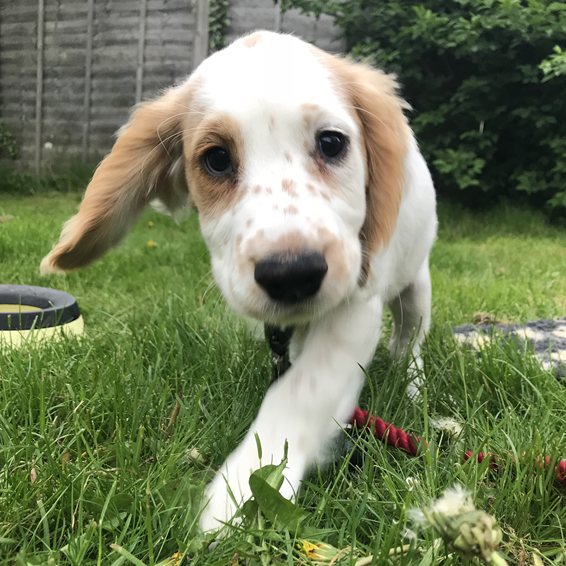 We know how important it is for a young puppy to have the best start and we can provide lots of stimulation and quality socialisation whilst you are at work or out for the day. We provide one on one visit service to break up the day for them. 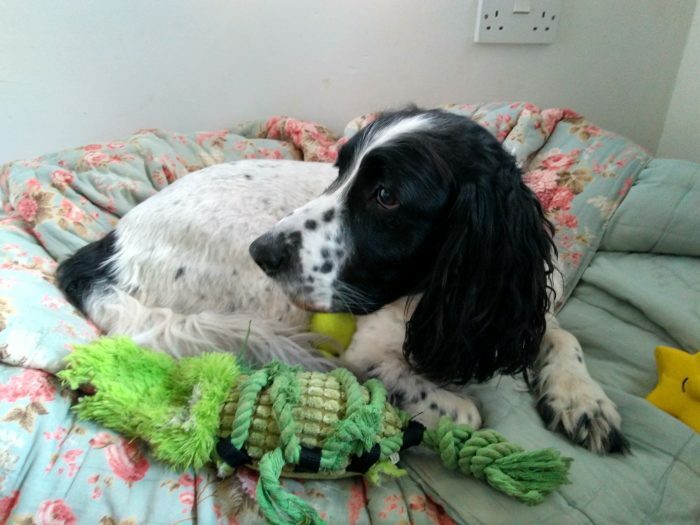 During one of our visits we may practice basic training, feed and have some play time with your puppy giving them access to relieve themselves in your garden or in some cases a short walk locally to your home. We normally recommend you have 2 visits around 10am and 2pm each day to start particualrly with a very young puppy. With a Gradual increase in time that they are left alone, allowing them to be settled and happy. 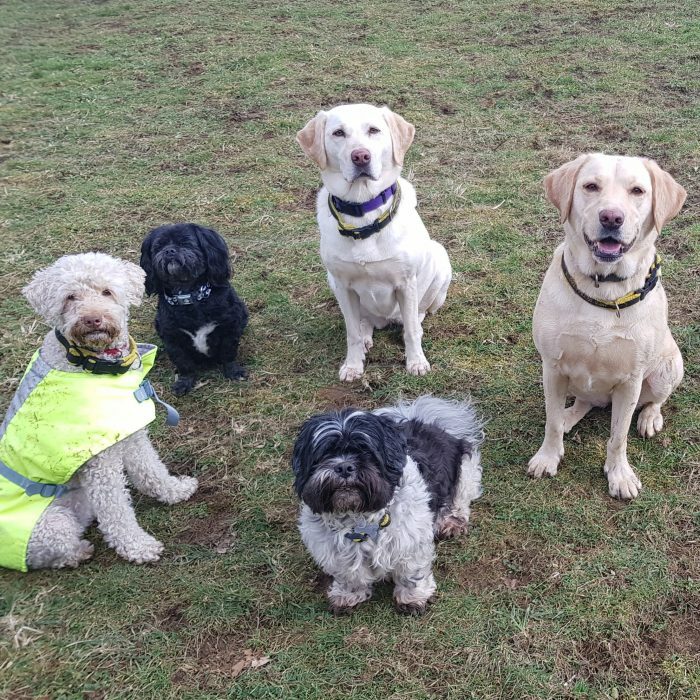 Once your puppy is older and able to cope with more exercise and stimulation we will take them for a short walk during these visits and then they may progress onto our group walks with other dogs for further socialisation and enrichment if suitable. We tailor the care to the needs of you and your puppy as each and every dog and breed are very different, there is no one size fits all regarding puppies as they all mature at different rates, therefore we cannot guarantee an actual age for them to be on our group walks. Each visit will get a report written specifying the time and the details of the visit. As with all our services you will still need to do an induction to meet our team and for our team to meet you and your dog, take own emergency contact details, vets details and feeding regimes if required. We offer a let out visiting service, this is a good service if you are not out for long and you are on a budget. Our visiting service is designed for the older generation of dogs. They are particularly good for elderly dogs that cannot hold themselves for long, or dogs that prefer to be alone and at home. From time to time dogs may need rest days due to ill health and these visits could be just what you need for your dog. 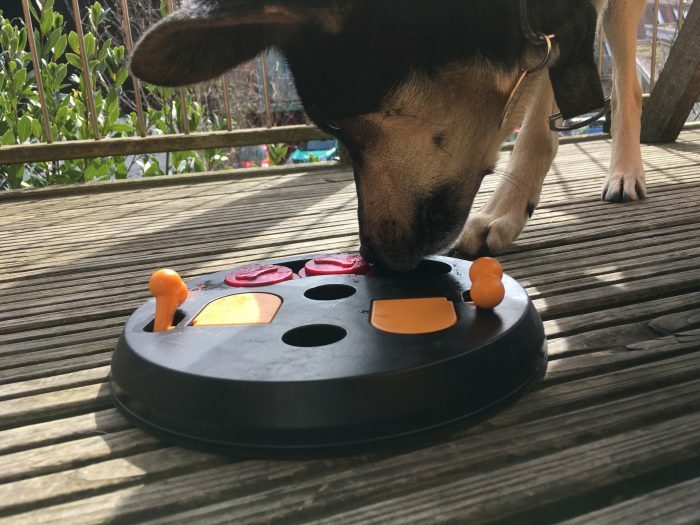 During the visit we will ensure that your dog gets out into the garden to relieve themselves and we will offer cuddles and some playtime if needed before settling them back down with a toy or a treat before leaving them. 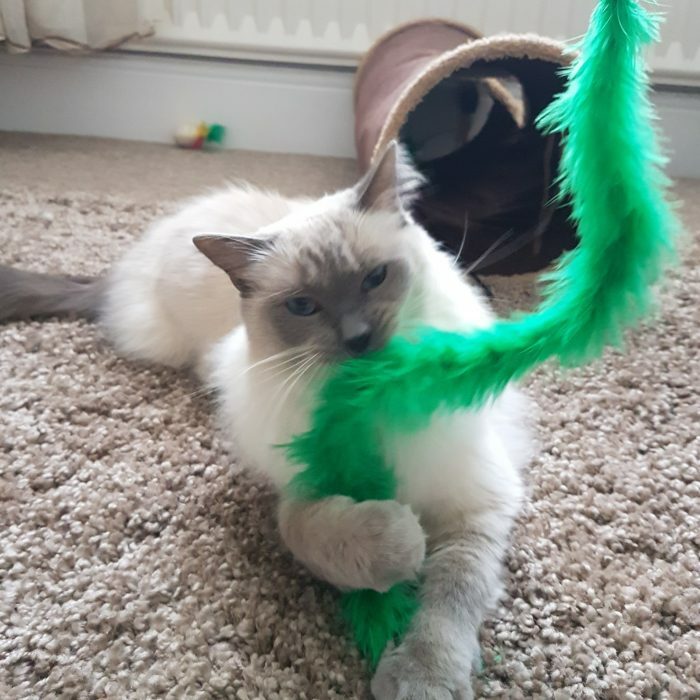 You will get a full pet report about what we have been up to with them. As with all our services you will still need to do an induction to meet our team and for our team to meet you and your dog, take own emergency contact details, vets details and feeding regimes if required.